I hope your excited for the year ahead. I usually write lots of goals but this year I didn't write too many. A few personal ones which I can share another time. I look back on the year before only to reminisce on my blessings and highs...I leave my lows behind me and any failures I can think as a step I need to climb/overcome, not to be remembered again. 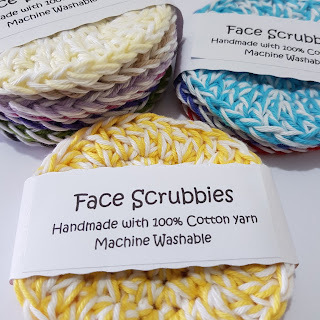 I did make these little Face Scrubbies for a few special ladies last Christmas. The are to remove makeup and are super easy to make and use with your favorite makeup remover and then pop them in the wash, dry and reuse again. Saves using chuck away makeup wipes. Saves the planet. Gentle on your skin and eyes. easy to crochet, which I did while watching the TV with my hubby. They were well received, now to make some for home here. It seems like every New Year I get inspired but as the year progresses I get busy and sometimes the best laid plans fly out the window. I need craft motivation to keep me going as life throws busy-ness at me. 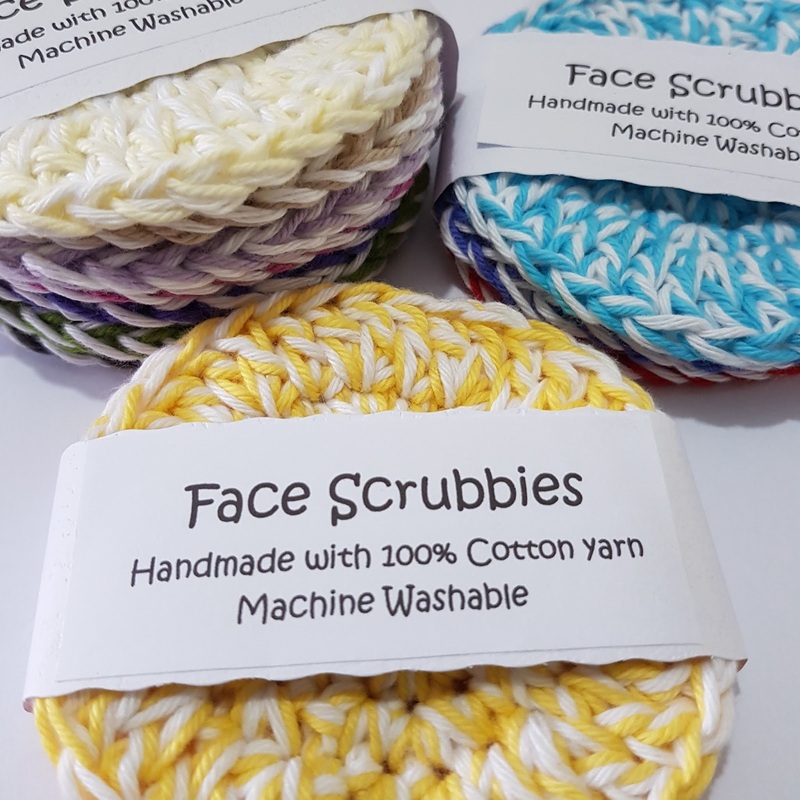 I have been excited about handmade gifts and this last year I did make the scrubbies and a few other handmade gifts. I love that they are unique and handmade with lots of love. Brings me to tomorrow. I am excited, My darling friend Fee from Fee's Little Craft Studios is starting her 'Year of Gifts' and I am joining in. 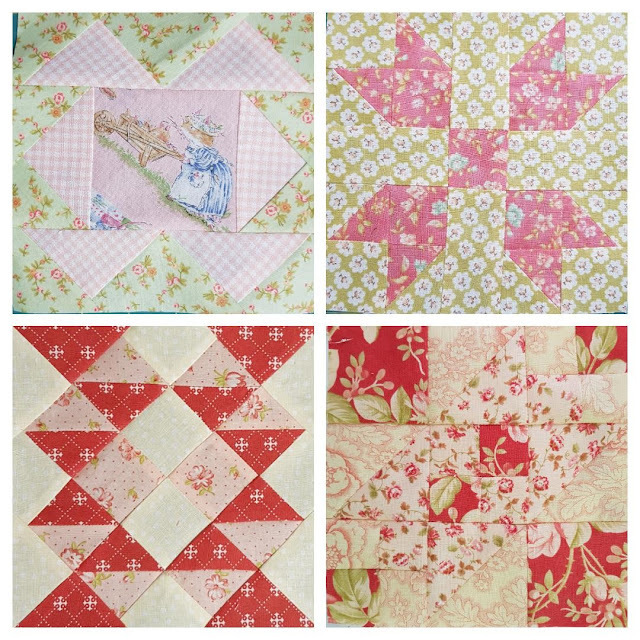 There are 50 handmade gifts with tutorials and kits available. Do you want to join in too? 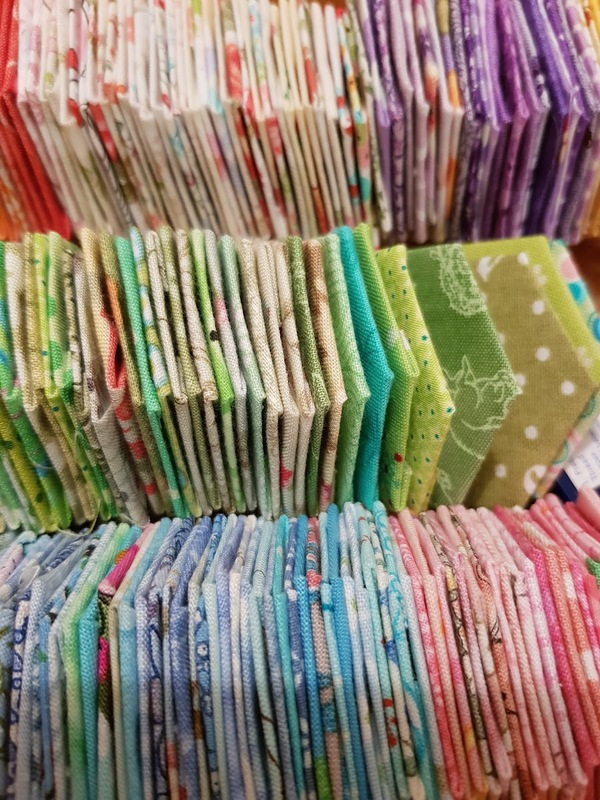 I may not make every one but if I make half of them, that is 25 little handmade gifts for presents next Christmas and that excites me. Looking forward to tomorrow to see what the first little gift will be. I also haven't forgotten the protein balls recipe I said I would share, I will make them this week sometime. I love hexagons, so I joined in with another stitch-along! I love Hexagons, and when I saw this Stitch-Along on Instagram, I fell in love. The freshness and style of this quilt had me excited and I wanted to start straight away. I was a little late jumping on board with it, but better late than never. 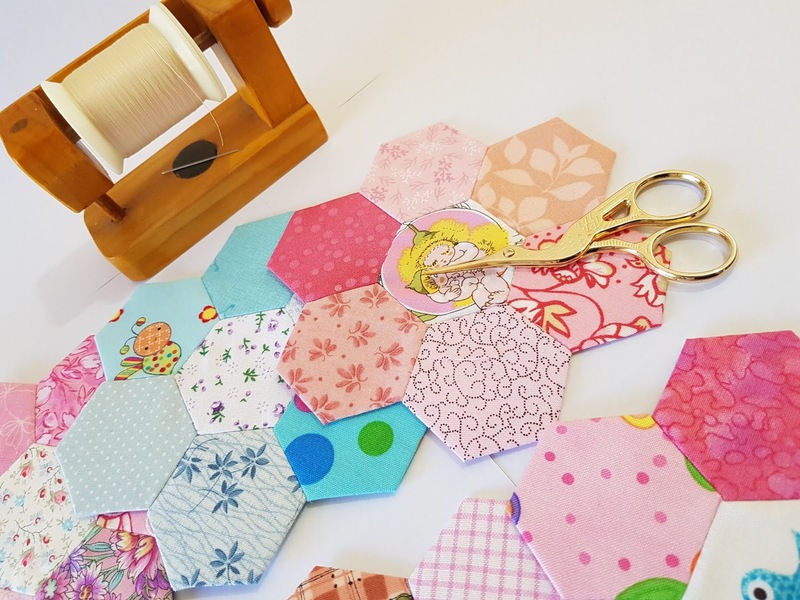 I just wanted to make the scrappy hexagons with all my leftover scrappy bits of fabric. I planned keeping it bright and fresh, so out came my scraps! Pinks were the most dominant color and then greens, purples (which I usually don't use much of), blues and oranges. Cover, cover, cover those 1in hexagons. All 322 of them. I use old cards from christmas and cut my own shapes out with a hexagon cutter. I then glue baste them and stitch together with flat back stitching. I had found this tutorial on YouTube and loved the fact that I didn't have to hold the two hexagons really tight with my thumb and finger (giving me an ache in my thumb which was like a bad cramp). 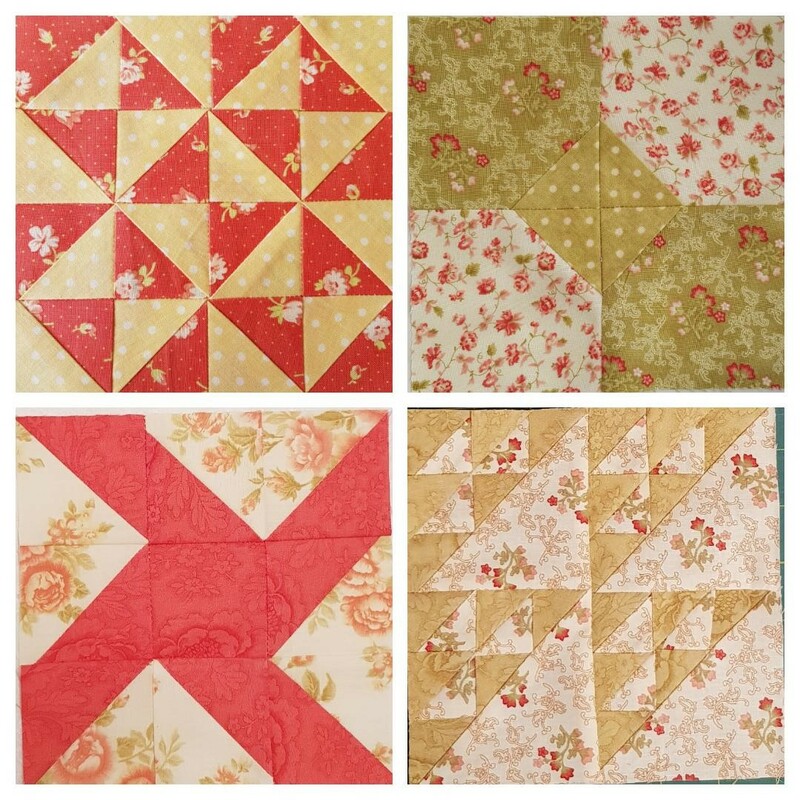 I'm about half way with my hexagon flowers and have picked out my background fabric to make the quilt. Be Sure to look on Instagram if your on that media and check out the Kingfisher Stitch-along. There are some beautiful quilts that others are making. 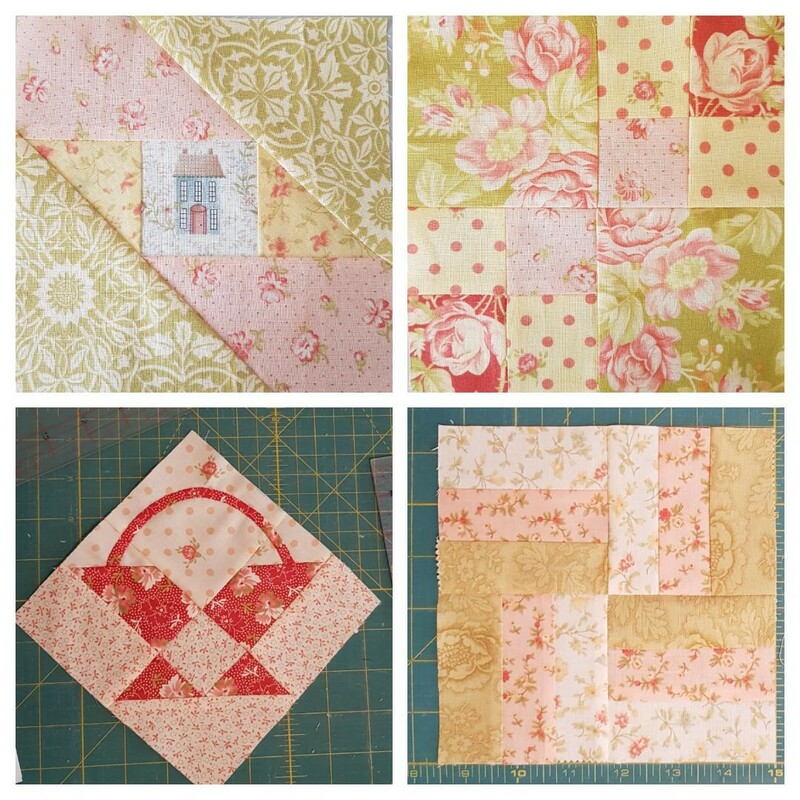 And have a look at Anorina's finished quilt HERE, its gorgeous and fresh. 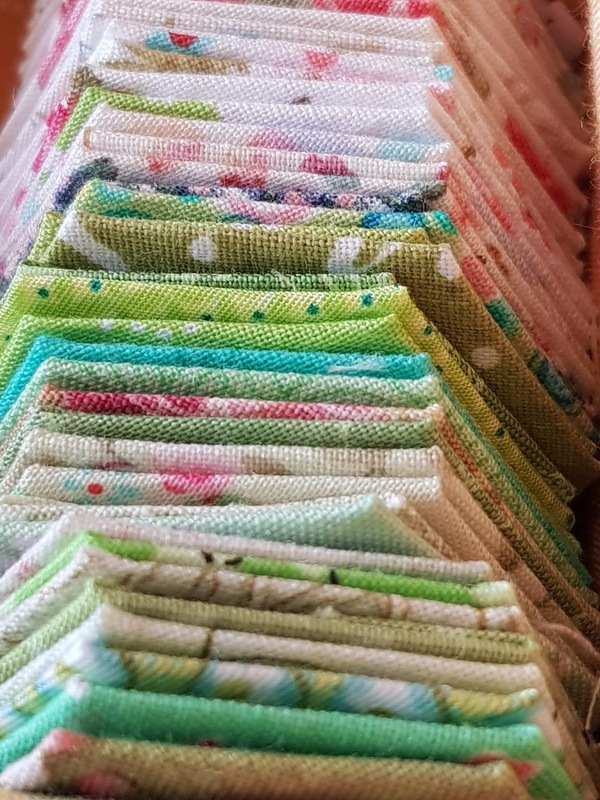 Its super sunny outside today, perfect for a cuppa and some sewing. I'm going to go and enjoy it for a little bit. Have a wonderful day. I'll be back with a recipe next time for some protein balls. Hello again...... and A Farmers Wife. I may procrastinate...LOL. Unless its to do with fabric!!! (I have been a lurker...looking but not commenting). This last few weeks I decided NO this is what I love. I'm doing this for me. 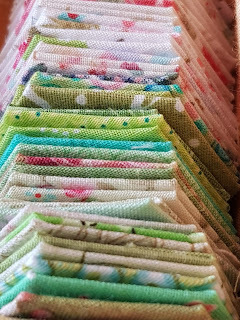 My intentions, or plans are to write down my goals and try to set aside a little time to do what I love doing besides sewing. But in the meantime I will continue to be posting my sewing adventures. I got really excited as I like following along and also like the accountability with projects. It keeps me on track...gives me direction and stops me giving up. So I jumped in and have decided to use my never ending stash of Fig Tree Fabrics and embark on a Farmers Wife journey again with lots enthusiasm. I am a little behind as I had a few really crazy weeks. I also have added a few favorite fabrics that I have kept for special things. These special things seem to never happen and I need to bite the bullet and use them. 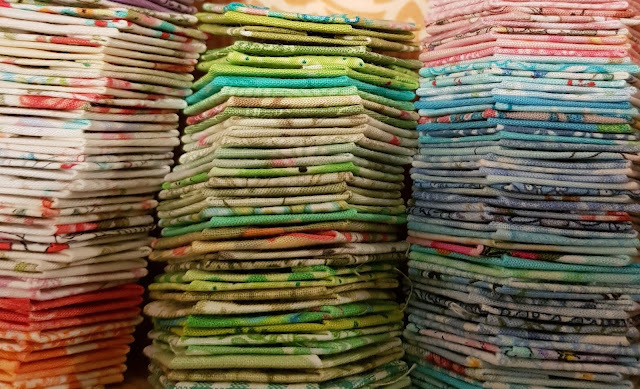 Do you have special fabrics that you love to look at and never use?? Below is my Bunny Hill houses fabric that I adore. had about 25 years...Time to use it don't you think? prefer to Foundation piece or Rotary cut and piece. 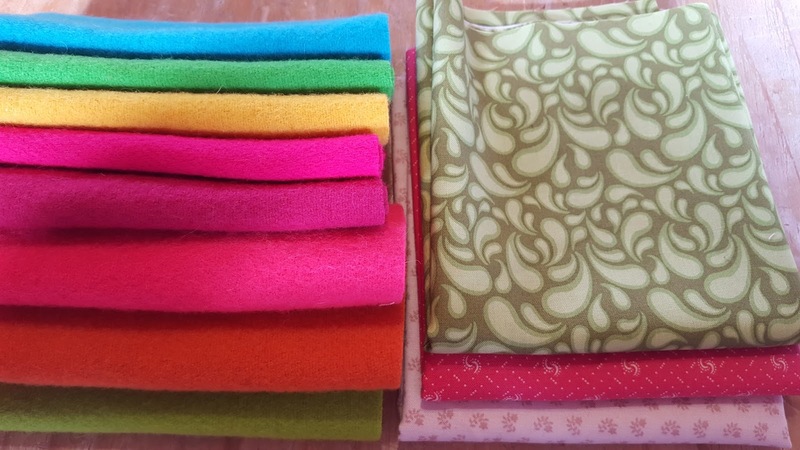 Whats your favorite method of Sewing? A little late but I am in love with the end result. A few months back I surprised Fee with a visit for her birthday. I flew to Tasmania on the Thursday and stayed till the Monday. It was a fabulous time of relaxing and sewing. Lots of sitting & chatting with copious amounts of coffee. 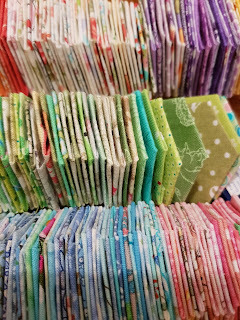 On the Saturday (Fee's actual birthday day) we went for a stitching day at Hat Creek Quilts. let alone having one on one instruction along with all the gorgeous fabrics and quilts. We stayed for quite a few hours joining in with one of Deidre's stitching days with lots of ladies chattering and laughing. We had a yummy lunch and Birthday cake of course for Fee. The Hat Creek cottage is filled with the most adorable quilts and knick knacks. Lots to look at and gain inspiration from. Some L.G.S ladies will remember from our bus trip in March. It felt like travelling back in time along with the fantastic views of the country. you must go for a visit or a stitching day. You will not regret it. 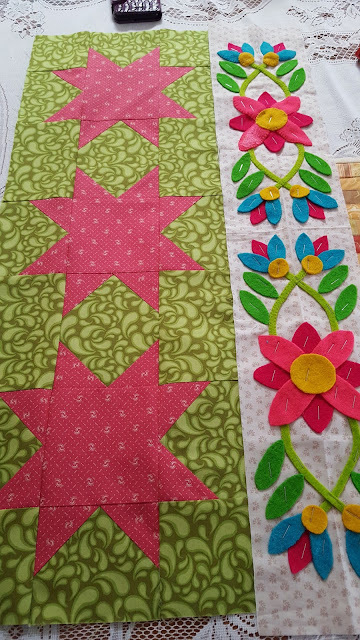 I am loving the table runner I chose to make. I had never done wool applique before and I must say I am hooked. I have not used the original colors but it looks so so Spring cheery. when I was visiting in March. It was perfect for the pattern I thought. 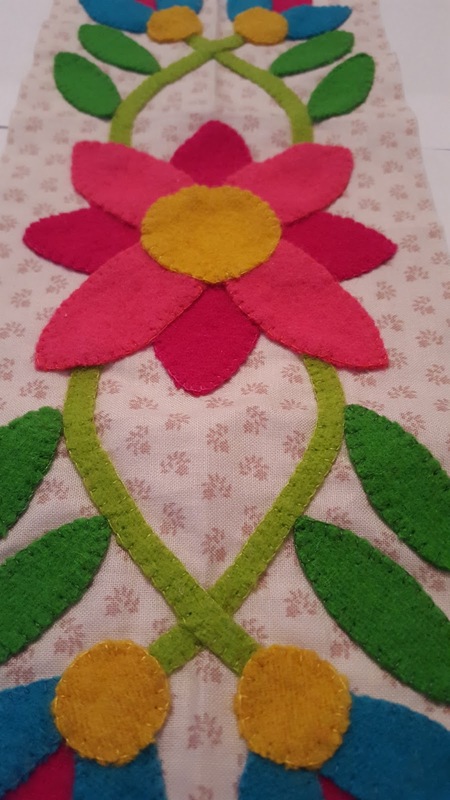 Now to finish the last little bit of blanket stitch and I can put it together. Off for a cuppa and possibly a little stitching.